Work on the next edition of Crop Stories, the food and farm zine I produce with my friends from the Athens Farmers Market, has been underway for about a month. If you come to a farmer's dinner at Heirloom Café next week, you'll get an up close and personal sneak peek at what we'll be covering in Crop Stories Part Deux. For each issue we choose one crop to focus on, as well as one farm to profile. For our fall/winter issue, we examine winter squash at depth through research and recipes and I interview and photograph the family of farmers at DaySpring Farm. If you've seen the DaySpring booth at the Athens Farmers Market this summer, you've certainly noted all the varieties of squashes they grow (the same varieties, except for pumpkin, that are harvested again in winter). Squashes have become an investment for DaySpring, a crop in which the farmers feel they can specialize to set themselves apart. 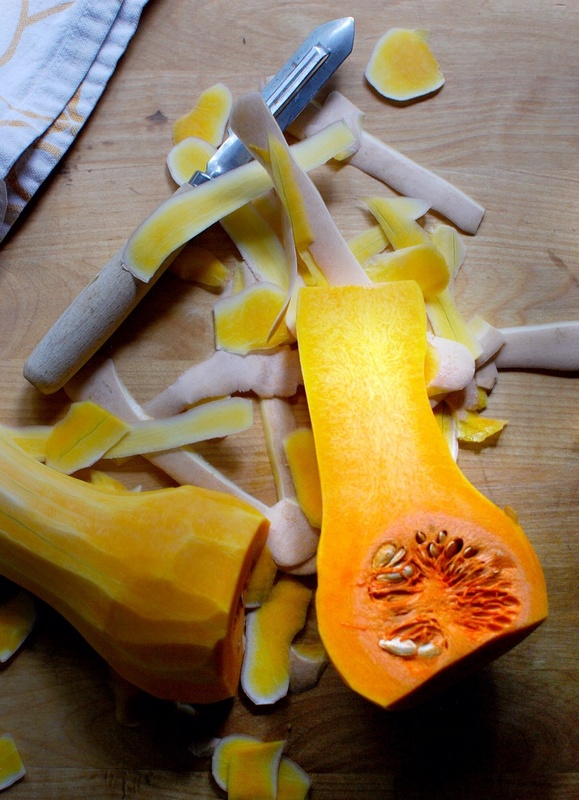 In that quest, they've planted heirloom varieties native to northeast Georgia, including the Seminole Pumpkin and the Northeast Georgia Candy Roaster, an almost fruity squash that when eaten raw is reminiscent of cantaloupe. All that heirloom stuff is fascinating, but the real story of DaySpring, and the real reason why we decided to focus on their agrarian efforts, is the relationship between Simone and Nathan Brett, a young couple who turned to farming only very recently. The Bretts are expecting their first child in November. The last few months of the pregnancy stretches out as summer crops are turned over for fall ones. Around the time they expect to be in labor, the Bretts, who farm with the help of Nathan's brothers and spouses and his father, will also be tasked with getting red winter wheat into the ground. DaySpring's wheat crop gets turned into loaves of whole wheat bread by the Comerian bakery, and they've been hustling to establish a mill on their Madison County property to help faciliate that relationship. Staring down all these changes, all this work, the Bretts appear undaunted. When I toured their farm three weeks ago, the stroll in their focused and energetic company, and on their beautiful land, was restorative. The Bretts are in real life what our sepia-toned memory thinks family farming should look like. Without giving away anymore of what's coming in the next Crop Stories, there's an opportunity next week to go ahead and experience the Bretts, their produce, and DaySprings in all its glory. The culinary crew at Heirloom is hosting DaySpring on Tuesday, Sept. 16, for a farm dinner. Squash is a major focus of the menu, as is red winter wheat berries (I know that because my wife is Heirloom's pastry chef and she's kept me informed about the menu). The ticket for this vegetarian meal is $45 for three courses plus a reception with a passed hors d'oeuvres. Wine pairings are an additional $15. Here's a look at the menu. Hope to see you there. Fried Tsukemono Okra, Miso Pickled Egg, Black Garlic Aioli, Karashi, Pickled Lion Mushroom.